Noisestopper Acoustic Pads are designed as an easy to install sound blocking insulation that can be laid on top of suspended ceilings. Noisestopper Acoustic Pads are designed as an easy to install sound blocking insulation that can be laid on top of suspended ceilings. Suspended ceilings are often common to rooms separated by walls that end underneath allowing noise to penetrate the ceiling and easily bounce across any dividing walls into adjacent rooms. Due to the installation of services above suspended ceilings it is often not possible to extend these walls up to the structural ceiling above or even install an acoustic barrier above them. The answer is the installation of Noisestopper Acoustic Pads that simply sit on top of the existing ceiling tiles. These tiles incorporate a non-flammable sound absorbing acoustic mineral wool that sandwich a mineral loaded sound barrier mat encapsulated within an aluminised, non-flammable Class 0 foil. The sound barrier mat has a sound blocking value of 14dB and acts as the name of the tile suggests, as a noise stopper. 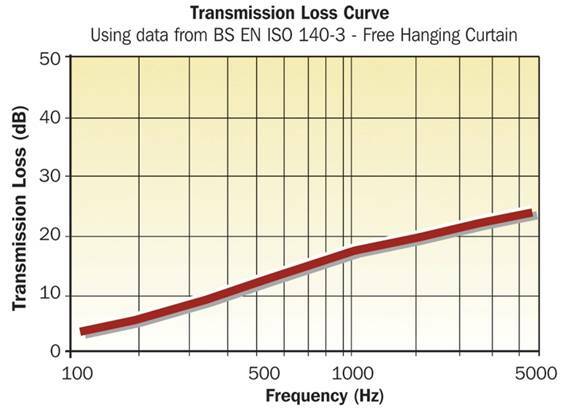 The acoustic mineral wool will enhances this sound loss by absorbing a proportion of the noise that would otherwise bounce off the structural ceiling above. 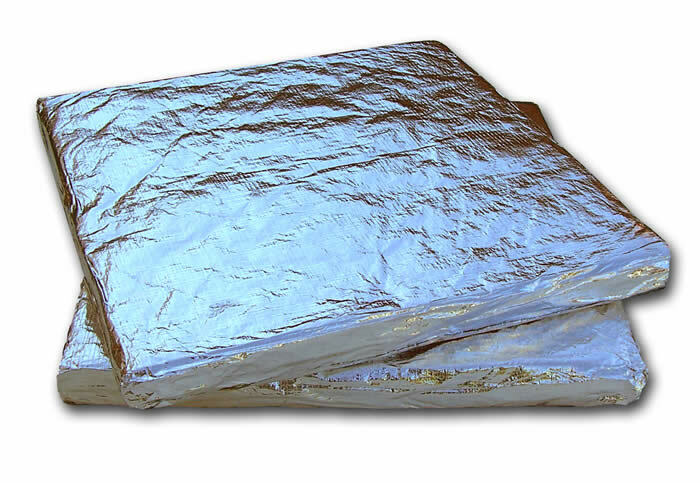 They are low weight and provided the ceiling is adequately supported from the structural ceiling above, the additional weight of the Noisestopper pads should not present a problem to the stability of the ceiling. The Noisestopper pads have a sound blocking value of at least 14dB and when installed will give a noticeable reduction in the amount of noise that normally transmits over dividing walls. Until now, there has not been an easy solution to soundproof suspended ceilings and the only way to block noise normally is to add as much mass as possible. 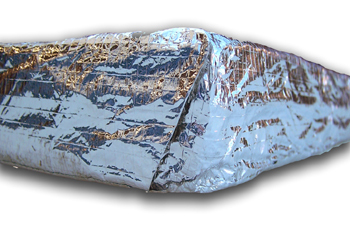 Lead for instance is a very good noise blocker but although extremely efficient, the weight required would be impractical to install on top of any suspended ceiling system which is why we have designed this easy to use, much lighter but effective alternative. Will installation of Noisestopper tiles make a difference? Most certainly. You will not be reading this if you do not already have a problem with noise being heard from adjacent rooms. This is because the noise is penetrating the ceiling in one room, bouncing off the structural ceiling above, over dividing walls and back through the ceiling into adjacent rooms. If the tiles in the grid system are sound absorbing such as our Tilesorption acoustic tiles, the problem will be reduced but still a problem. 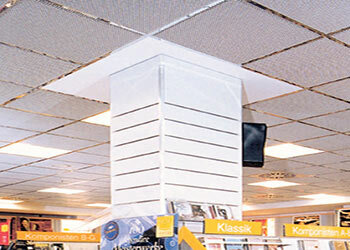 By installing Noisestopper acoustic pads on top of any suspended ceiling, the makeup of the ceiling is being changed and will then have additional sound absorption and an acoustic barrier that will be far more effective at reducing noise transfer across the ceiling than the lightweight tiles already fitted. For years, noise through grid type suspended ceilings has been a problem with no effective solution and so difficult to address. Now there is an effective solution that is very easy to install so look no further but for best results, the ceilings in all adjoining rooms should be insulated with the Noisestopper easy to install acoustic pads. Have a look at the acoustic performance graph below. PLEASE NOTE: THIS PRODUCT IS MADE TO ORDER AND IS NORMALLY READY WITHIN 7 - 10 WORKING DAYS. SELECTING A NEXT DAY SERVICE FOR DELIVERY WILL ENSURE THE FASTEST DELIVERY ONCE THE PRODUCT HAS BEEN MADE. WE WILL CONTACT YOU WITH A DELIVERY DATE UPON COMPLETION. 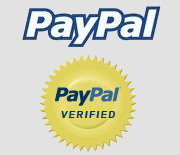 THERE IS A MIN ORDER OF 40 SMALL PADS AND 20 LARGE PADS PER ORDER ! !